While Nollan and Dolan may stand out, Justice Scalia’s voting record on land use matters demonstrates consistent support for the rights of landowners. Shortly before Nollan was decided, in First English Evangelical Lutheran Church v County of Los Angeles, Justice Scalia joined the Court majority in ruling that under the Constitution’s “Just Compensation Clause,” a “temporary taking” denying a landowner of all use of his property entitles that landowner to compensation for the “temporary” loss of that use. In 1992, Justice Scalia penned the opinion in Lucas v South Carolina Coastal Council in which the Court ruled that regulations which deprive a landowner of “all economically productive or beneficial uses of land” require compensation absent the presence of a “common-law prohibition.” In 1999, in a less noted property rights decision involving a Section 1983 Civil Rights Act claim alleging a regulatory taking, Justice Scalia wrote a concurring opinion to form a 5-4 majority to, among other things, affirm a landowner’s right to have a jury determine whether the landowner had been denied a constitutional right and, if so, the amount of damages incurred. In 2006, Justice Scalia delivered the opinion of a divided Court in an important wetlands decision addressing the scope of the phrase “waters of the United States” in the Clean Water Act. In Rapanos v United States, the Court rejected what it considered overly broad interpretations of that phrase, noting that under some of the views presented, “waters of the United States” could “engulf entire cities and immense arid wastelands.” Subsequently, Justice Scalia joined the 5-4 majority in Koontz v. St. Johns River Water Mgmt. Dist., a 2013 decision in which the Court held that permit conditions attaching monetary exactions must comply with the nexus and rough proportionality requirements of Nollan and Dolan. 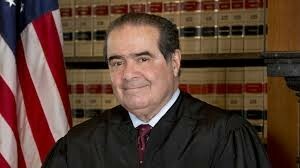 It is apparent that landowners have lost a dear friend in Justice Scalia. The lasting impact of that loss on property rights will be known as time and the Court move forward.